Marc McPherson, Kathy Mountcastle, Debbie Shapiro, Ginny Gillam, Ann Hedgebeth for help with the test session. Marc McPherson, Heidi Trimble, Kitt Winter, Ellen Feldman, Julie Shapiro, Kathy Mountcastle, Dana and Jamie Cerniglia, Kelly Levy, at the check-in table. Ellen Feldman, updating test accomplishment showcase. Please consider volunteering! You can help support our club by helping with the Halloween party, check in, Holiday party/exhibition, or test sessions. Reminder to everyone: follow BFSC ice safety rules! To Ting Cui, who placed 7th overall (2nd in the short) in the Junior Grand Prix in Ostrava, Czech Republic. And to Ivy Liu, 15th in Junior Ladies at U.S. Challenge Skate in Salt Lake City. To Ivy, competing in Senior Ladies at South Atlantic regionals in early October and to Ryan Dunk competing in Junior Men in Armenia, Oct. 11-13. Ting and Ryan have been named to the 2018-2019 USFS international selection pool. At the end of August, Ryan competed in JGP Slovakia and Ting competed in Austria. BFSC coaches attended PSA’s Foundations of Coaching seminar on Sept. 16: Lauren Carrig, Nancy Jarvis. 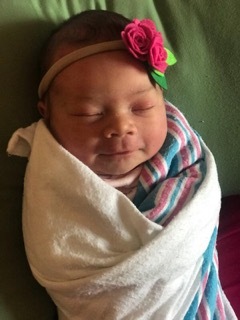 Congratulations to Mandy Reiner, who had a baby girl, Raelynn Sue, born Sept. 5. Ting Cui, Senior Freestyle; Ivy Liu, Senior Freestyle; Alexa Winter, Novice Moves; Matilda Trimble, European Waltz and Foxtrot (completes pre-Silver dance); Anissa Good, Adult Bronze Moves; Olivia Tsui, Pre-Juvenile Moves, Preliminary Moves and Pre-Preliminary Free Skate; Gayle Camarao, Pre-Juvenile Moves; Samantha McPherson, Pre-Juvenile Moves; Paige Sawyer, Pre-Juvenile Moves; Maya Liwanag, Pre-Preliminary Moves and Pre-Preliminary Free Skate; Mickey Farrell, Pre-Preliminary Moves and Pre-Preliminary Free Skate; Rachel Bolt, Pre-Preliminary Moves; Lola Cavers, Pre-Preliminary Moves; Sonya Choudhary-Smith, Pre-Preliminary Moves; Dakota Fox, Pre-Preliminary Moves; Brianna Price, Pre-Preliminary Moves; Kayla Camarao, Pre-Preliminary Free Skate; Annette Seefried, Intermediate Moves, Tanya Cerniglia, Pre-Juvenile Moves; Rosemary Gillam, Pre-Juvenile Moves and Pre-Juvenile Freestyle; Abby Gelman, Juvenile Moves; Claire Polites, Westminster Waltz; Daphne Burton, Solo Dutch Waltz. Used skate/outfit sale -- Sunday Oct. 7, noon-2:45 p.m. (If you have items to sell please bring them to club sessions). Monday Oct. 29, 6-8 p.m. Free night of skating, games, treats for members and their guests. Dress in costume, bring a treat to share. Club jackets may be ordered online. Link is on club web page. Copyright © 2018 Baltimore Figure Skating Club, All rights reserved.